Will I find paints and words to describe it? In front of the prince is live head. Huge eyes are submerged in sleep. The head is snoring, rocking a feathered helmet. I cannot remember when I first got to see the photo of the Zeus’s head, that reminded me the giant head that prince Ruslan from Pushkin’s poem met. I decided I should not miss this wonder! Especially, after it turned out that there was more than one head! However, as it usually happens, some time has to pass before your desire evolves into ntention. Finally in May 2017 I made it to this mysterious place – Mt. 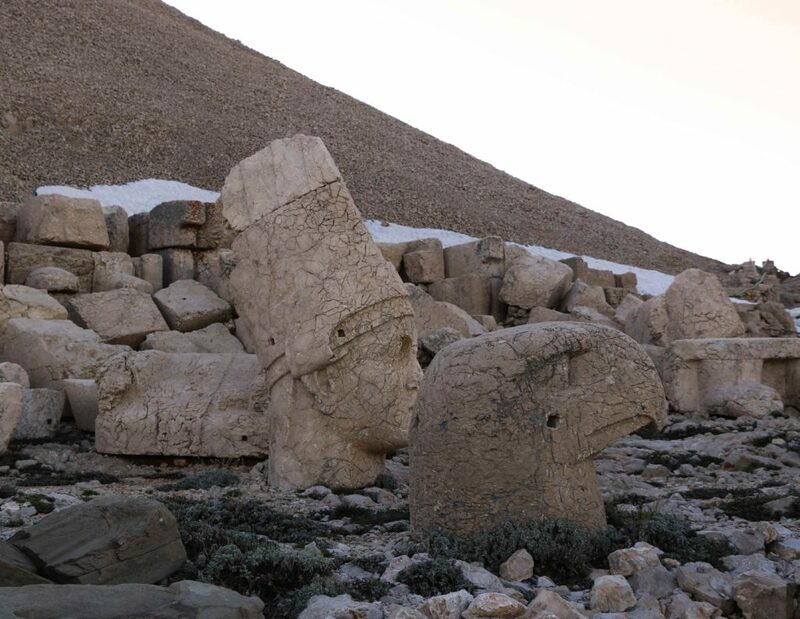 Nemrut in the Eastern part of Taurus mountains in the Southeastern Turkey. Mt. 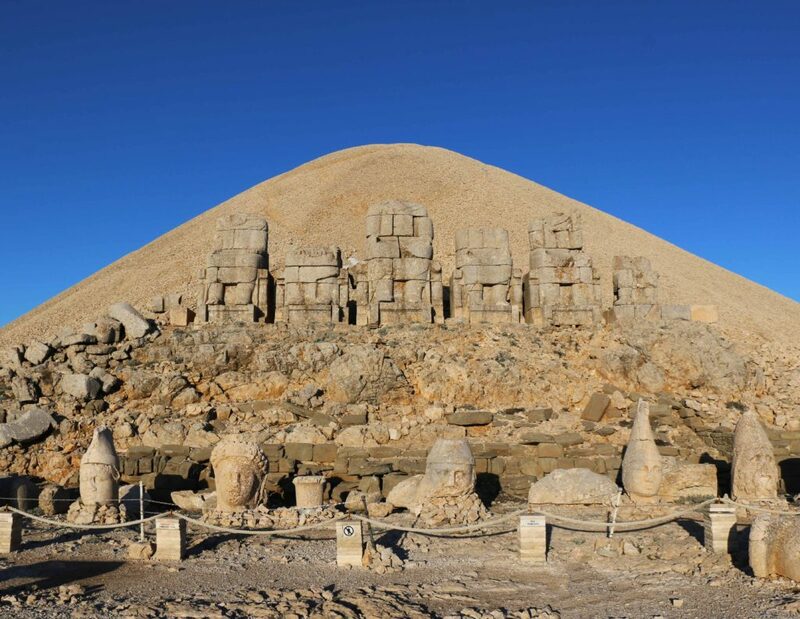 Nemrut is famous for its summit that is and an artificial tumulus. 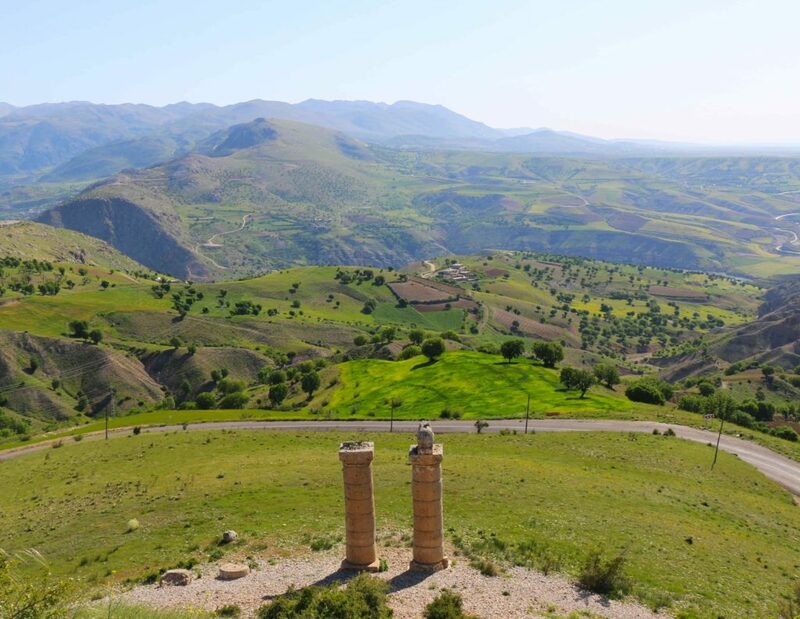 And there is a mausoleum of Armenian king Antiochus I, a ruler of ancient Kingdom of Commagene, inside this tumulus. Once upon a time Commagene was little but thanks to its competitive location prosperous kingdom, a type of nowaday Singapore. The capital of the kingdom the city of Samosata became a regional trade center with silk from China and spices from India. Parthian, roman, greek and arab traders used to make great deals here. Commagene tried to benefit from good relations with its all neighbours. But you cannot have your cake and eat it too, so as a result of conflicts in 163 B.C. the kingdom was swallowed by the Roman Empire. Having gathered some information about this monument, instead of preparing for May 1 demonstration, at 2 a.m. we were already leaving our hotel. Outside the hotel finishing his cigarette a typical Anatolian beyefendi (turkish – gentlemen) with a long moustache has already been waiting for us. He smiled and it opened a door of the van polished outside but very dusty inside. There were also several other sleepy tourists and a heap of blankets. Just like in the compartment of old Russian/Soviet train! It takes a bit more than an hour to get to Mt. 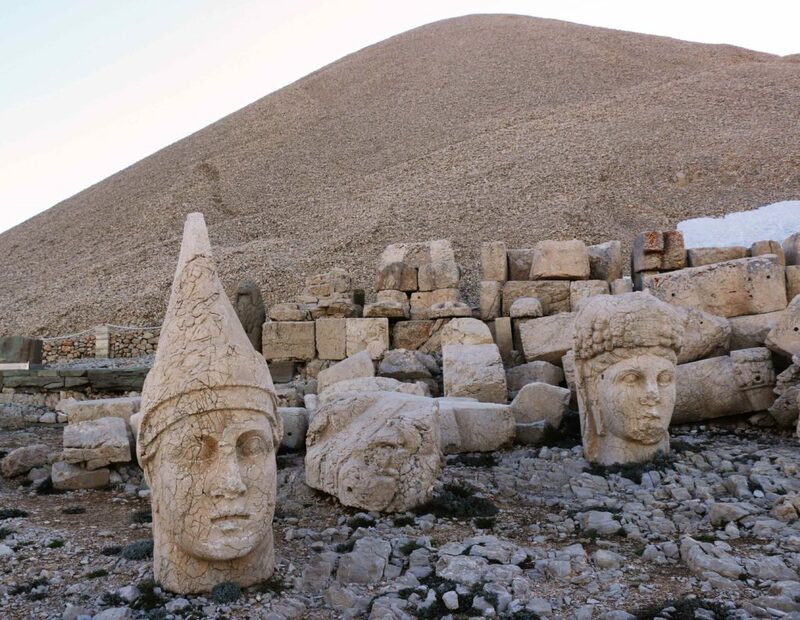 Nemrut from the city center of Adiyaman. The smooth highway you follow at first changes slowly with a mountain spiral road. The driver dropped us in front of a new tourist center that is just very close to the mountain. 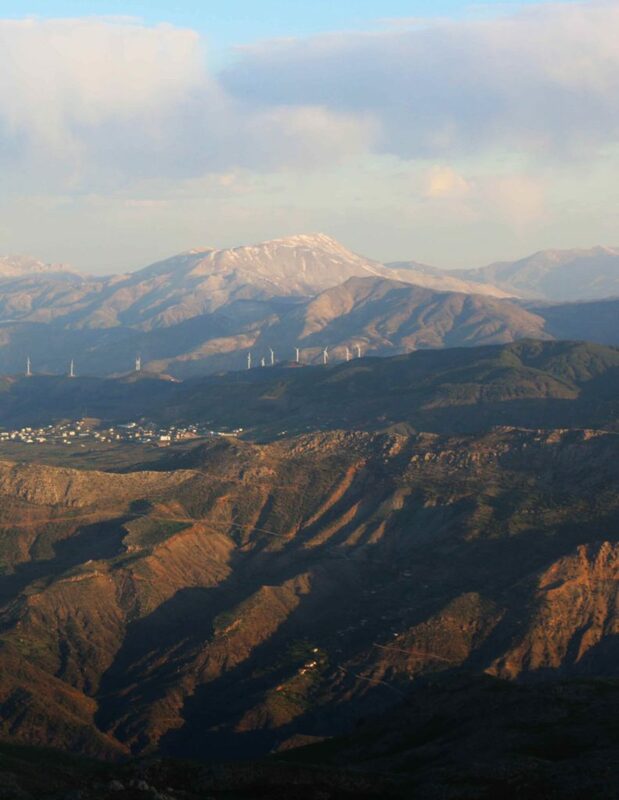 By the way, the mountain is not opened for visitors during the winter. Even in May it was very cold up there, luckily there is an endless river of hot Turkish tea available any time during the night in the tourist center. You can also buy some snacks, souvenirs here and rest your sleepy body on the wide sofas while waiting for the ‘all hands on deck’ command. The latter is given approximately 40 minutes prior the sunrise. Then everybody rushed to the parking lot where several other vans (not the ones you came with) are waiting, they will take the tourists up the hill. Here, while the strains of classis music playing inside the center still can be faintly heard, an absolute mayhem starts as it is obvious that the number of passengers that can theoretically fit into these vans is considerably less than the approaching army of tourists. And apparently nobody knows that the vans will shuttle between the center and the top of the mountain until they bring up all tourists. 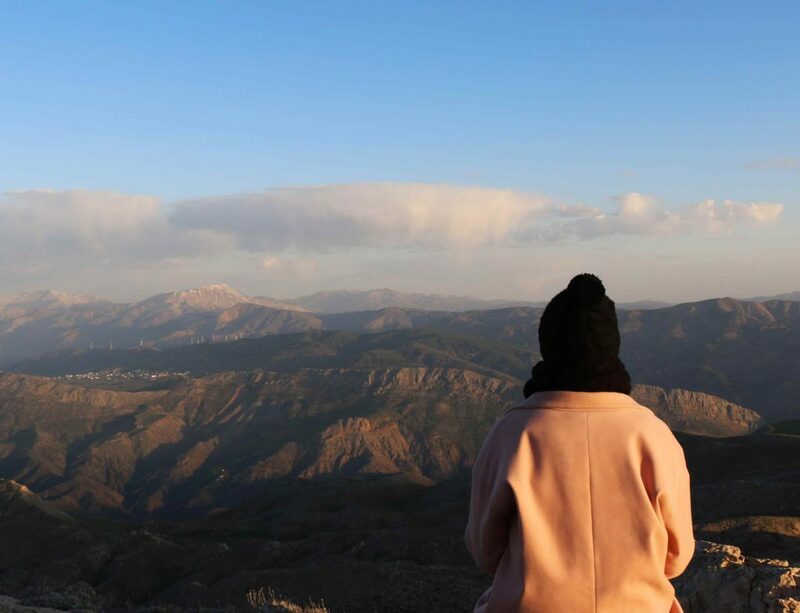 The same happens when you go back, you will not be forgotten on the mountain! Finally, after you survived the battle and the van brought you up, some 500 meters are left to the summit. When you are dragging your sleepy body to the summit you suddenly understand the purpose of those blankets in the van. Meanwhile the day breaks showing proudhearted and dumb hills around. 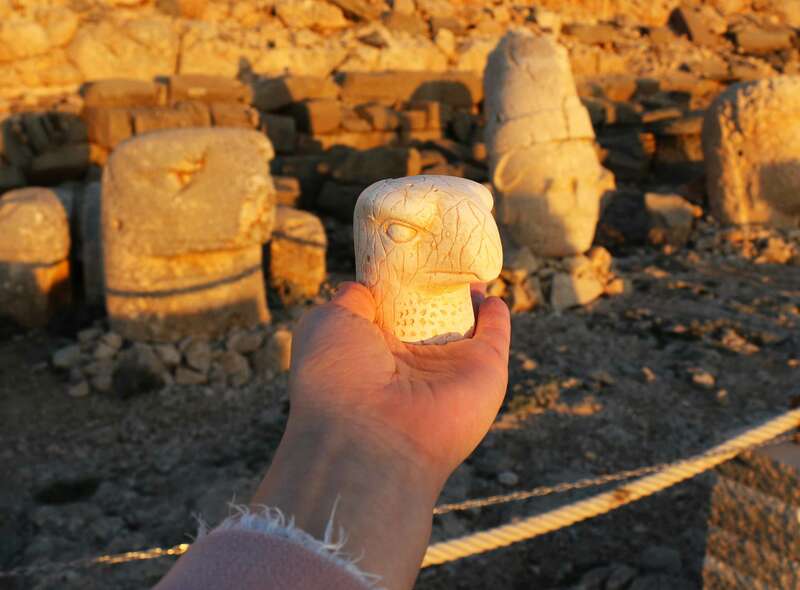 You first reach the Eastern terrace where the statues have been watching the sunrises for 2000 years, and during last 20 years in a good company of tourists. So, again this is a mausoleum of Armenian king Antiochus I, who was not modest at all and considered himself Alexander the Great’s descendant. The fact that Tigranes the Great crowned him should have made it obvious for everyone that Antiochus I is not just a man of mould, rather he is the God King. Antiochus started to build his tomb while alive and, trying to apotheosize himself, he invited major Hellenic gods to join him. The gods also have their Armenian counterparts. After the eagle from right to left there are: Herakles, Apollo-Mithras, Zeus in the center and the All-Nourishing Commagene followed by the king Antiochus I himself. So how did the statues lose their heads? There are two major versions: they were knocked down during aniconism period; or just felt down in consequence of the earthquake. The local security guard though has his own version: Germans destroyed everything. Interesting. Everything is more or less clear with the head of Commagene, a.k.a. Godness Fortune Tyche: her head was on its place until 1961, when archeologists dynamite the tumulus aiming to reach the actual grave of the king. The result leaves much to be desired, I would say. 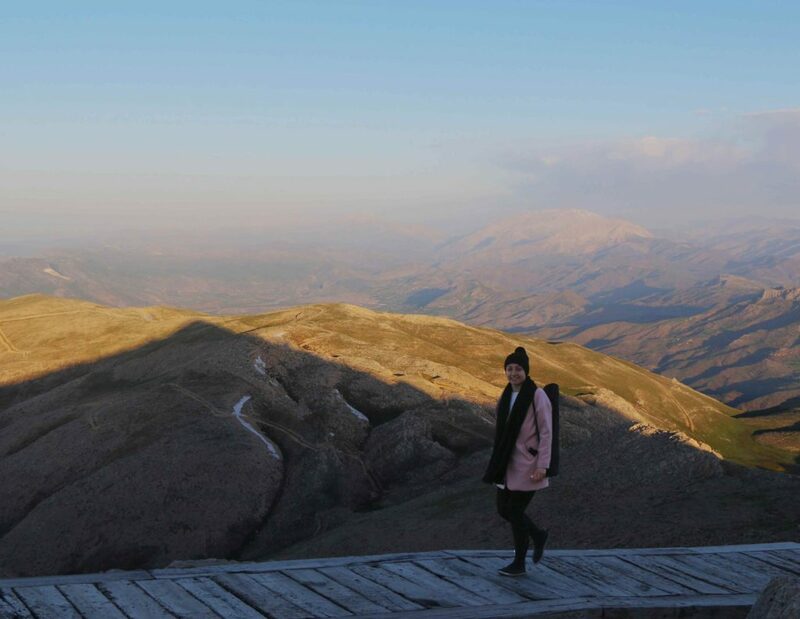 There is a path around the tumulus, so you can walk from the Eastern to Western terraces and enjoy a view of the awaking mountains. The Western terrace looks messier, but somehow it impressed me more. On the way back we stopped by several places that are also important artifacts of Commagene kingdom and are tied together in one plot with the mausoleum of the king. 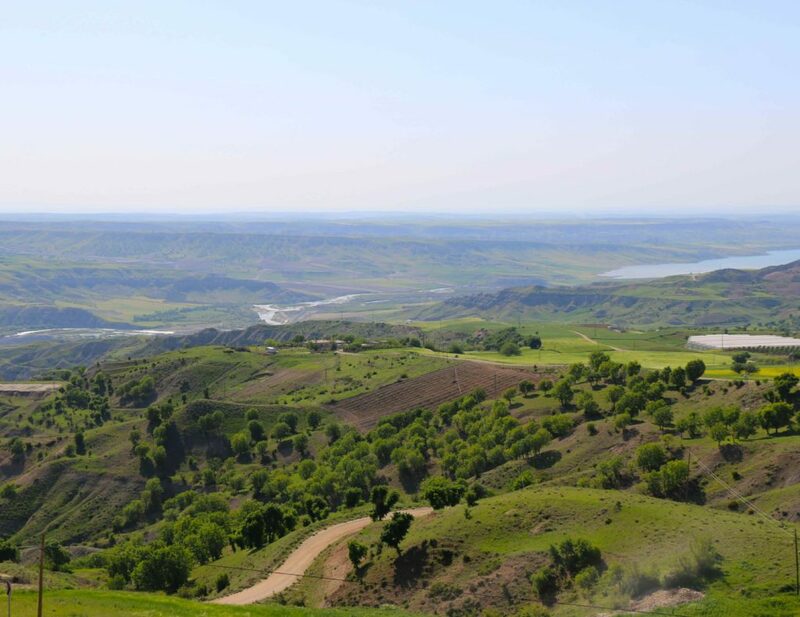 The first stop was next to the ancient city of Arsemia, which was used as summer capital of the Commagene kings. There is an awesome view from the city and I am sure 2000 years ago it was not worse it all! Just in case you might have a doubt with regards to the divine origin of our king Antiochus, here you can find a stone depicting our king shaking hand with Herakles, which is considered to be the first artifact of handshake at all. We spent there half an hour. Guys from our van who were more prepared had little picnic as breakfast. We though went to meet the local shepherd. 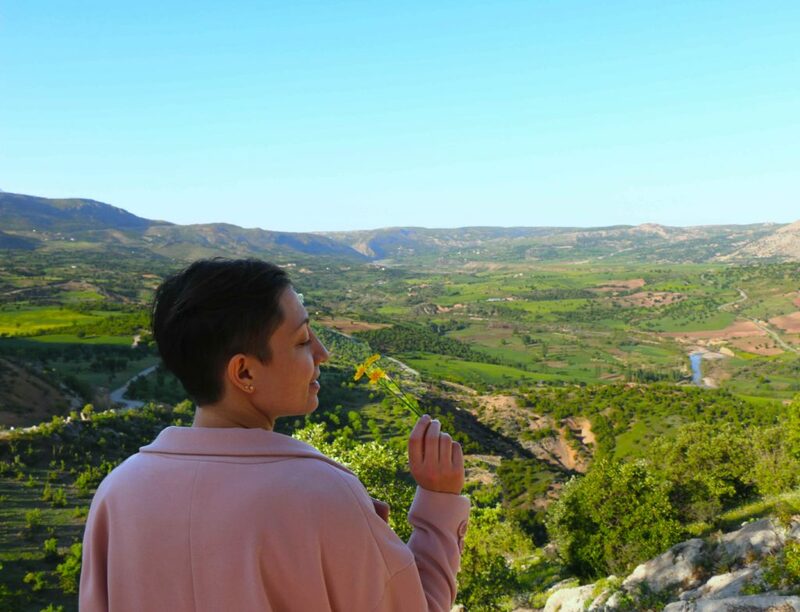 The last stop was at the Karakus hill (Karakuş Tepesi), that is another tumulus and the mausoleum of the Commagene’s royal family. There used to be 16 columns surrounding the tumulus, each four facing four cardinal directions. 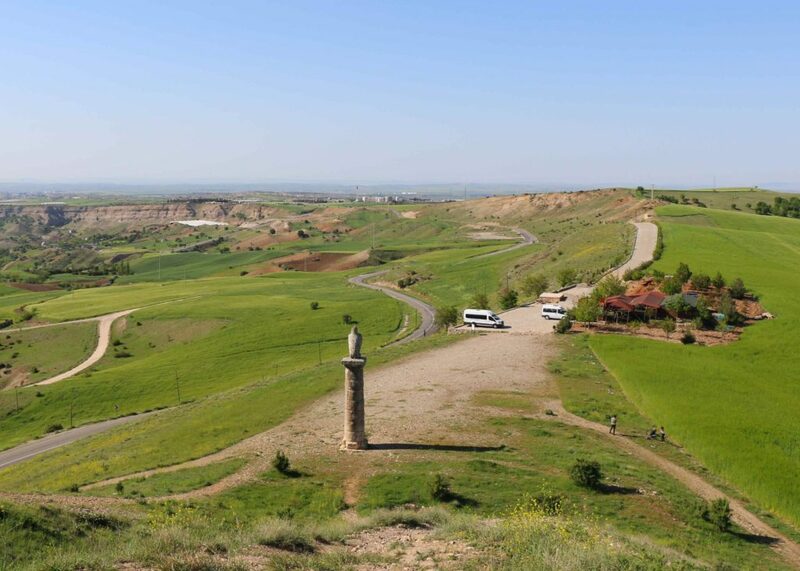 Only four columns survived, and as it was not enough, month later we learned that the left side of the lion that is also on the Karakus hill was destroyed. The sight is not spectacular at at all. Only odds and ends are left from the once grand kingdom. Looks like most of Commagene artifacts are grassed over or just have not stood the test of time and the end of era. How to get to Mt. 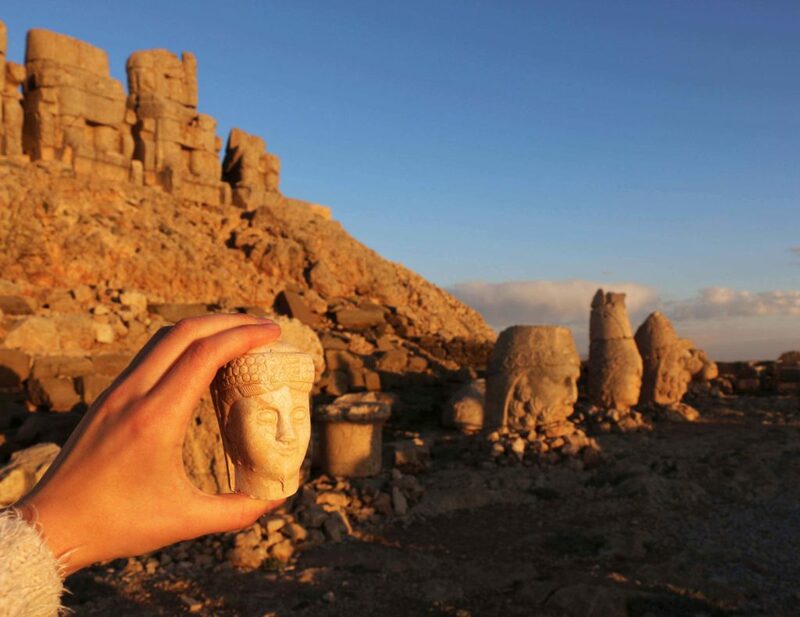 Nemrut? 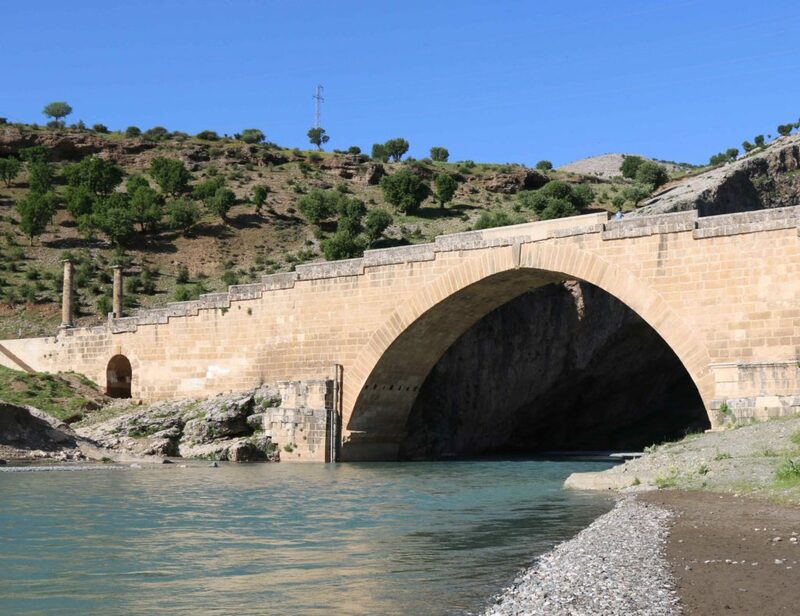 There are direct flights from Istanbul and Ankara to the city of Adiyaman. Airport is 30 minutes drive from the city and there is a shuttle bus. Tell the driver when you return (or just show your ticket) and he will pick you up from the hotel. The easiest way is get to Mt. 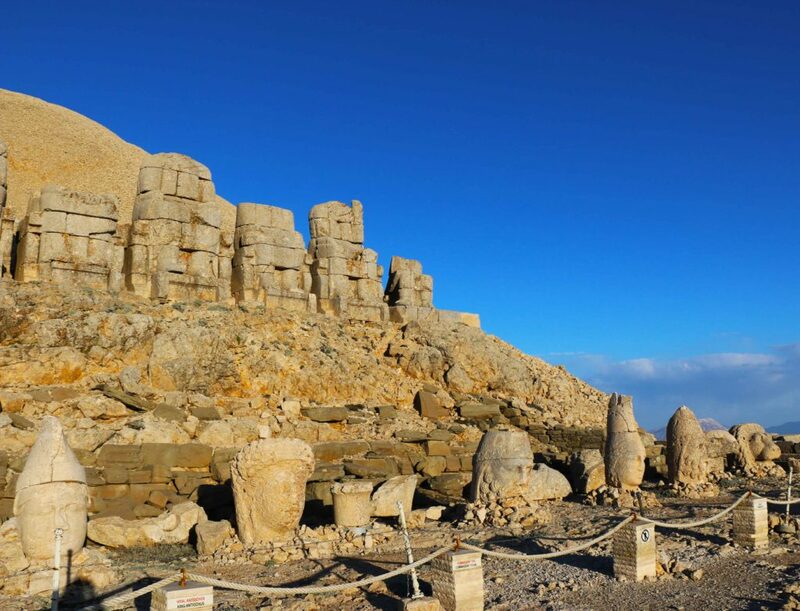 Nemrut is to join organized tour. They will pick you from the hotel in the night and bring you back so you will also be able to catch the breakfast. How many days to spend? 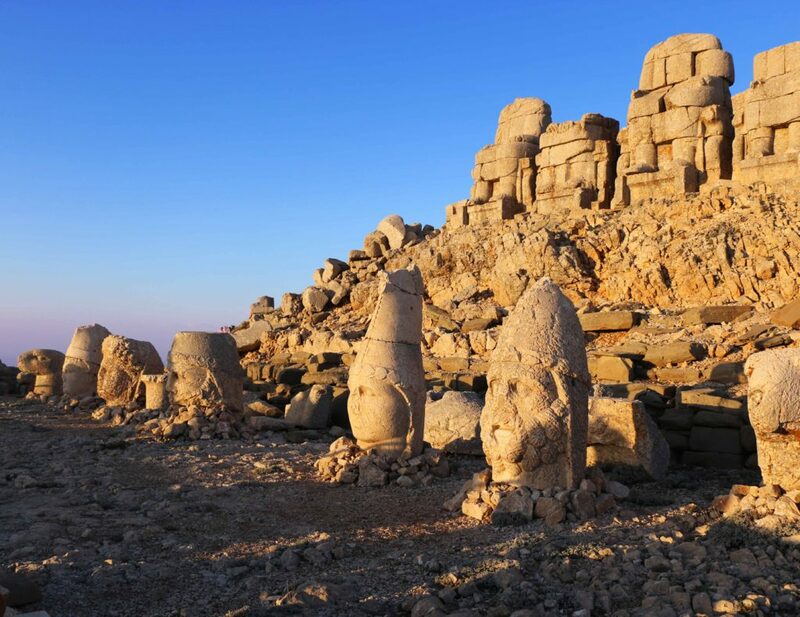 If you fly from Istanbul one night in Adiyaman is optimal. AnadoluJet airlines has morning flights, so you will have the whole free day. We spend there two nights, I don’t want to say that we got bored, but one night could be also fine. However, if you the one who likes to sit on the upper terrace of the hotel and just observe, go for two nights. 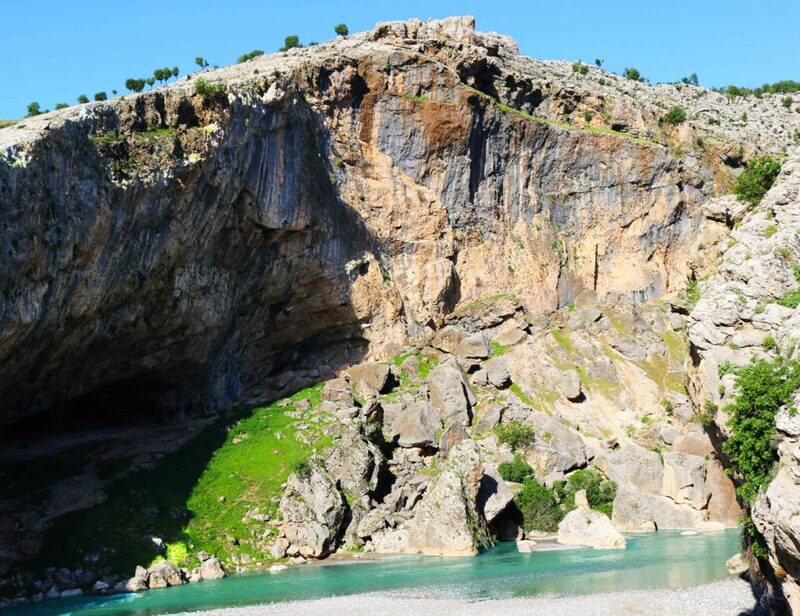 You will also have a chance to better understand and feel what is Southeastern Anatolia is. 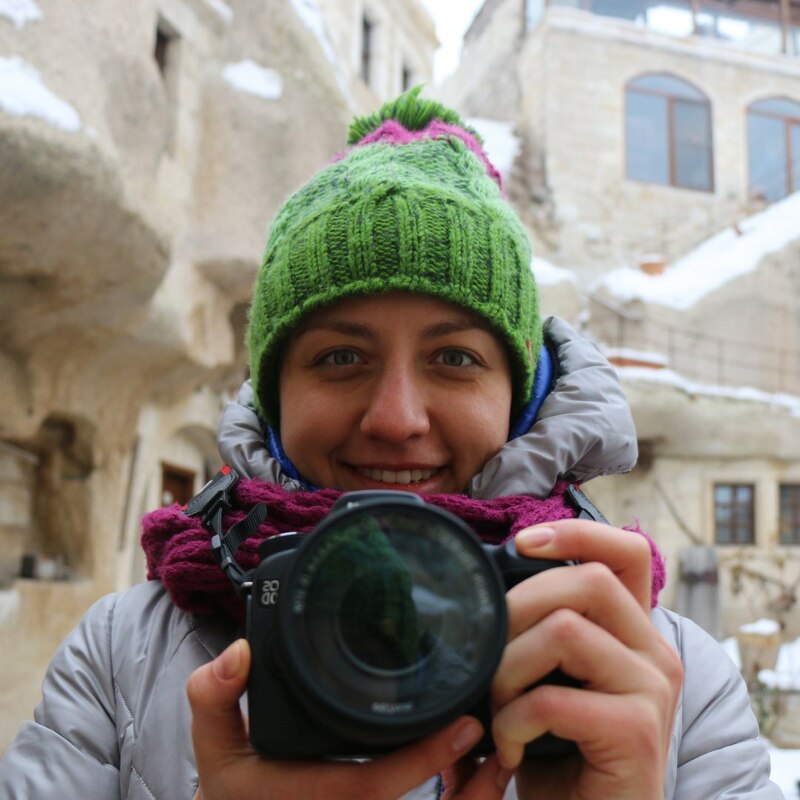 Where to stay in Adiyaman? I can recommend Samos hotel that we stayed in. The rooms are modern and clean, you’ll enjoy good Turkish breakfast and nice service. 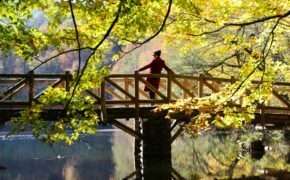 How to choose a tourism agency? 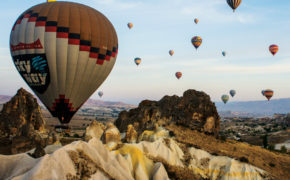 The tourism is just developing in the region, this is not Antalya neither Cappadocia. This means the following: (1) there aren’t so many companies and (2) they do their best. We asked in the hotel whether they can suggest us someone and yes, they could. The guys at the hotel will suggest you someone they know and trust. 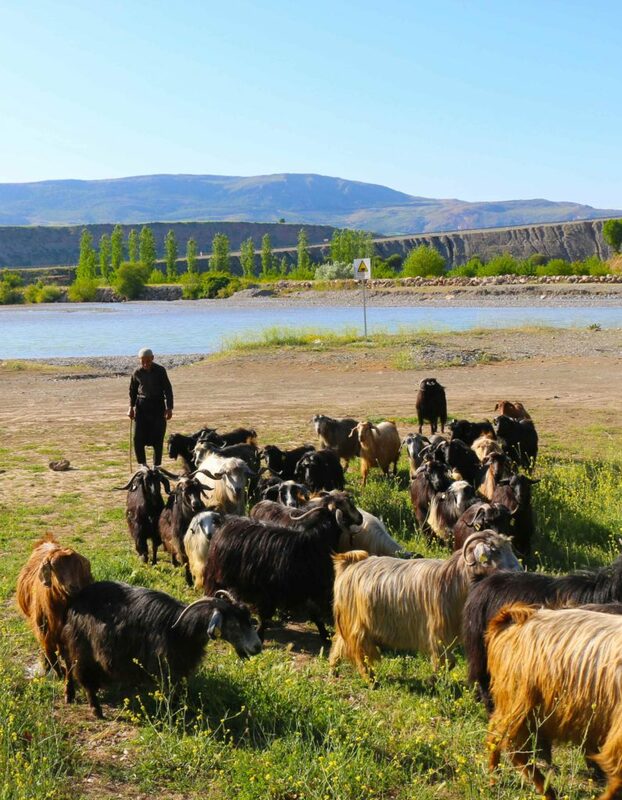 And this is how the circle of Anatolian hospitality and attention to guests completes. May. Why? First of all this is just the beginning of the tourist season, and therefore there are no many tourists at all. 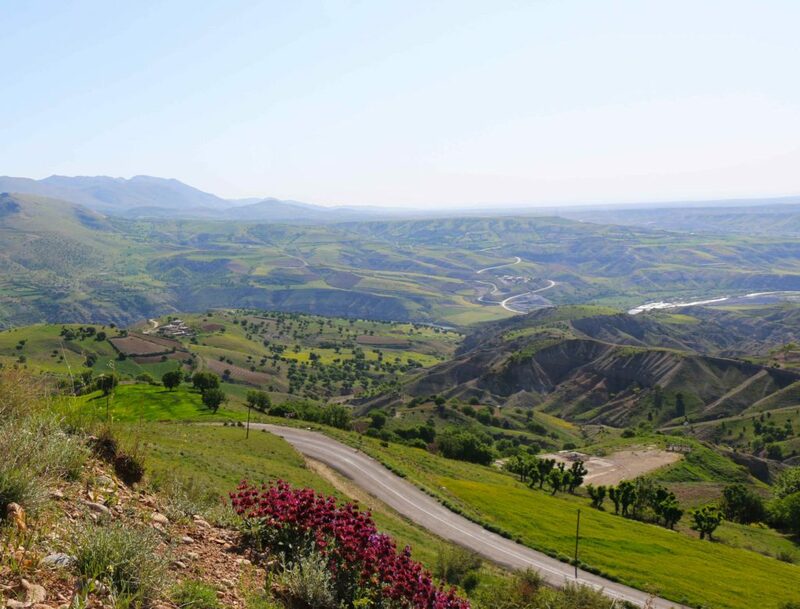 Next, while it is quite chilly up in the mountains, the temperature in other places including Adiyaman is about 20-25C, which makes it quite comfortable to walk and enjoy the places. If you do not want to wrap yourself in a blanket that has almost witnessed the golden age of Commagene, do take some warm clothes! There is enough time to walk around the places. Moreover if you will be in the same van with the locals, be sure that nobody will rush and everyone will wait until everyone finishes his cigarette. I am aiming at saying that you can grab some snacks and have your first breakfast instead of spending time with shepherds as we did. Thanks for reading! Have any questions? Do not hesitate to ask!